St. Kosmas Homeschool Community is a non-profit organization with members from nine canonical jurisdictions, 23 states, and four countries. Realizing our children's need for fellowship with other like-minded youth and our own need to connect with other homeschooling parents, we work to bring Orthodox homeschool families together for educational and spiritually-enriching events. Our main objective is to instill the fullness of the Orthodox faith and life within ourselves and our families. 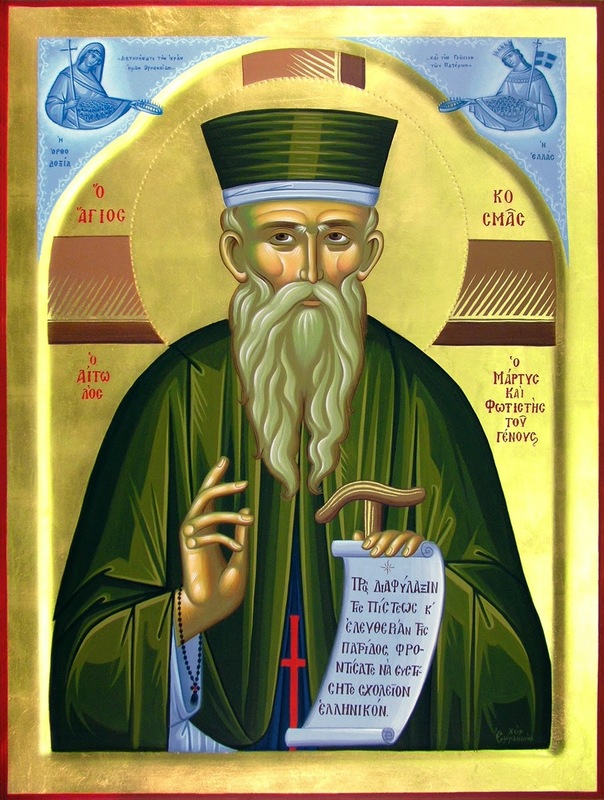 St. Kosmas Aitolos Homeschool Community began in 2004 with a pilgrimage to Holy Virgin Cathedral in San Francisco for the feastday of St. John Maximovitch, for the purpose of bringing together Orthodox homeschool families from throughout Central California. The group continued to make this pilgrimage annually, seeking to provide a way for isolated Orthodox homeschool families to connect with other homeschool families, and with this wonder-working saint. Since that time, the St. Kosmas Homeschool Community has hosted educational field trips, overnight camping trips in national parks, and pilgrimages to several monasteries all over the west coast and southern United States. In 2017 St. Kosmas Homeschool Community teamed up with the Antiochian Archdiocese Deptartment of Homeschooling to bring the St. Emmelia Conference to the West Coast. This first West Conference was the largest St. Emmelia conference to date, bringing together 70 families from ten states, as well as Mexico and Canada. The vision for the St. Kosmas Homeschool Community is to provide practical support for Orthodox homeschoolers throughout the country. In addition to our original goal of helping families connect on field trips and creating regional events calendars, we plan to continue to host the Orthodox homeschooling conferences. A new development for 2018 is our essay, art, and photography contests, open not just to homeschoolers, but to all Orthodox students. In the future, with God's help, we plan to provide on our website free downloadable resources, including educational articles and lesson plans. We work with local clergy from various canonical jurisdictions in the areas where we are hosting events, and have the clergy involved in any event that incorporates teaching about the Orthodox Faith and Life. Similarly, the articles, resources, and materials provided by St. Kosmas Aitolos Homeschool Community will be developed under the supervision of local canonical clergy. Currently 7% of our member families are clergy families.